Coaching volleyball is an amazing experience that many players look forward to having once they leave school. Whether you played high school volleyball, college volleyball, or maybe you only played in PE, you CAN get a job coaching volleyball if you prepare well enough. There are many challenges that come with being a coach if you are not prepared to do your homework. Even experienced players will need to stay up-to-date on the latest teaching strategies in order to impress directors and get the job. 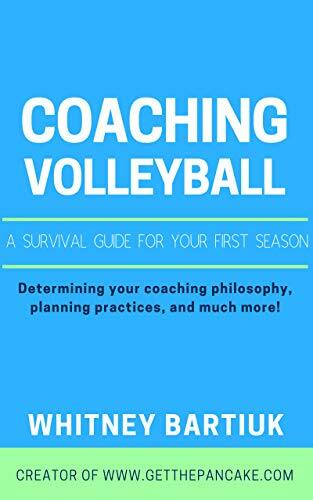 This article includes tips on how to prepare for an interview to coach volleyball and lists possible questions you’ll be asked during that interview. Keep in mind that most questions are similar to those you’ll see in any other job interview, but relate specifically to volleyball. It is important that you stay POSITIVE throughout the interview, and answer questions honestly. Always dress up. Sure, it’s an interview to coach. And when you’re coaching, you can dress down into (nice) athletic gear. But the interview is no place for sweats and a sweatshirt! Prepare answers in advance. Smooth conversation will improve your chances of getting a call back. Have any paperwork ready (CPR/AED/First Aid) and bring it with you in a nice binder or padfolio. Research the club and have a few points of interest to talk about (I saw you just took over as director, how is it transitioning into the new club? ), (It looks like your 14’s age is a popular group, how’d you grow that level so much? ), (I saw your JV team finished 2nd in their conference last year, what an accomplishment!). Spend no less than 30 minutes doing online research. I suggest you only bring up positive items. If you find something negative in your research, you could still bring it up, as long as you put a positive twist on things. (I saw your freshman team lost every match last year. I know they’ll be a tough project but I have a lot of ideas on how to change the mentality so we have a chance this year!). Don’t spend time on the negative. Address, and move forward! Tell me about your playing experience. What’s the highest level you’ve played before? How would you deal with an angry parent? What are your thoughts on playing time? Would you rather be an assistant coach or a head coach? Do you specialize in any position? What’s a favorite drill of yours? What do you do for warm-ups? Do you have any qualifications related to coaching volleyball that we haven’t discussed yet? What’s your favorite coaching memory? How do you deal with conflict on your team? Walk me through a sample practice plan. Now that you have an idea of what to expect in an interview to coach volleyball, I suggest you poke around this website (and others) to determine the current methods for teaching all of the basic skills (serving, passing, setting, hitting, blocking, and rotations) to make sure what you were taught in the past is still in use today. Many ways today’s coaches teach certain skills has changed over the years, so it is important you do not skip this step! You should feel prepared for a job interview now! One last piece of advice is to be choosy in your club or school you apply to coach at. Some individuals will be a better fit for middle school rather than high school, or better at 16U rather than 12U. Also, many coaches feel more comfortable at a small club with more freedom to coach how they wish, but others will feel more at home at large powerhouses run primarily by lead coaches. Pick the job that’s right for you, and if you feel during the interview that it’s not a good fit, don’t be afraid to keep looking!